Located on the edge of SoHo in New York City, the existing space for this Shanghainese restaurant was a complex combination of six rooms with varying floor levels and ceiling heights spread over three properties. This assemblage of disparate rooms presented a potential problem for the unity of the restaurant; instead, this idiosyncratic quality of the space became the leitmotif of the design. 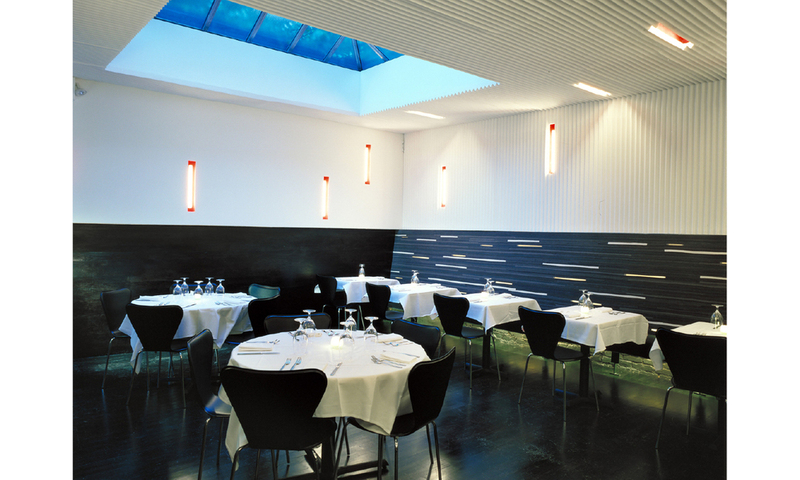 In order to unify the separate spaces and to highlight the unique volumes of each room, LTL introduced a prominent horizontal line, a datum materialized as a 1/4-inch-thick stainless steel strip that cuts through the whole restaurant, providing a continuous visual reference. The datum line sections the restaurant horizontally. The white ceiling flows down and the dark floor rises up on each side to meet at the datum line, creating the sense of a space not determined by walls. 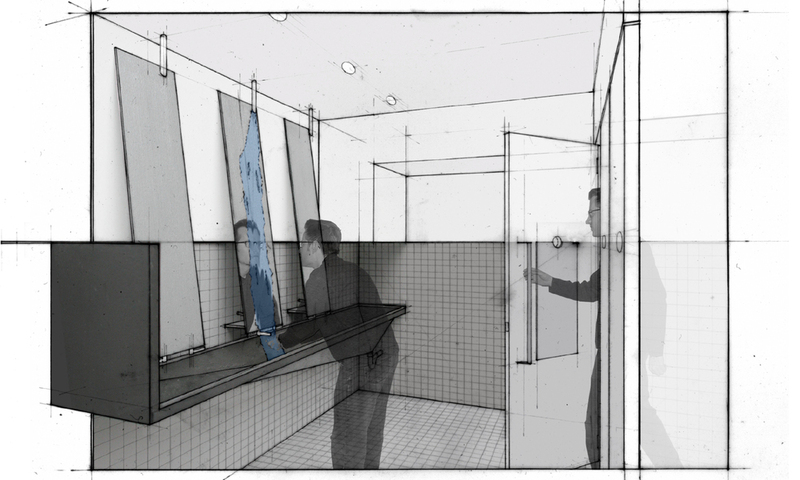 Similarly, the datum engages and integrates the other significant components of the design: not only is it the joint between the floor material and the ceiling material, it also marks the top of the continuous felt banquette, the bar shelving, and the service station, as well as morphing into the collective sink where water pours down the surface of the mirrors.